The next day I was planning on meeting Iman, but medicine had yet to work wonders on her cold and I ended up spending the day solo. 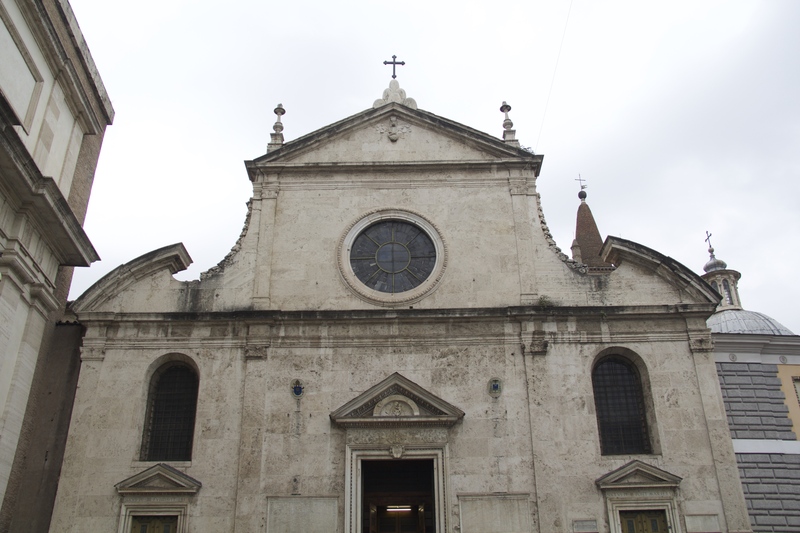 My first destination was the Church of Santa Maria della Vittoria. 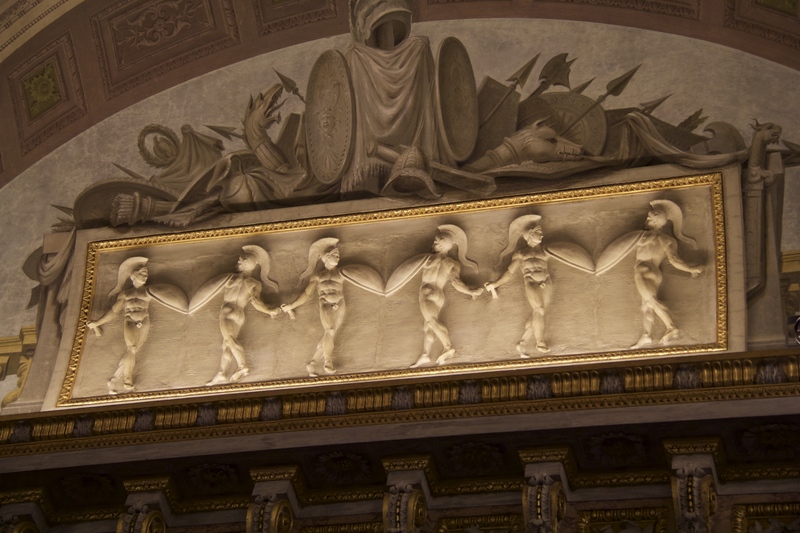 Gargi and I had already been to a number of the sights listed in Dan Brown’s Angels and Demons so I figured I’d finish up most of the remaining sights today. 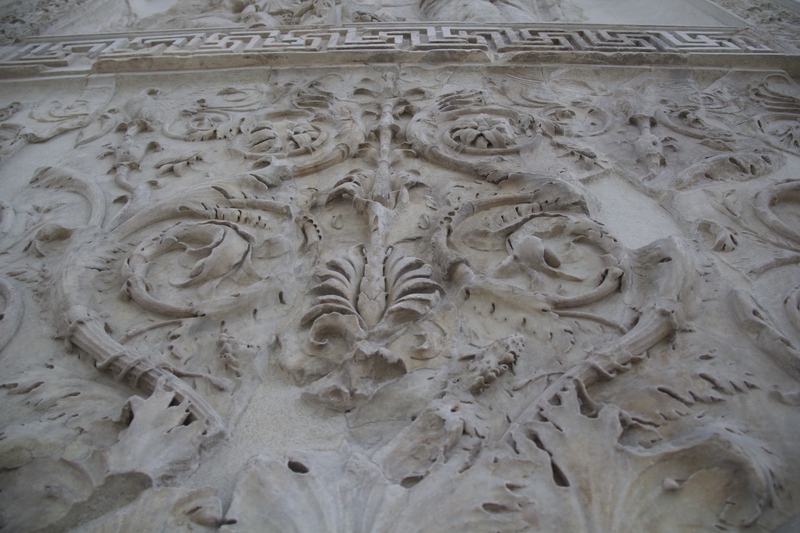 Here is a helpful blog that we used in order to accomplish this. 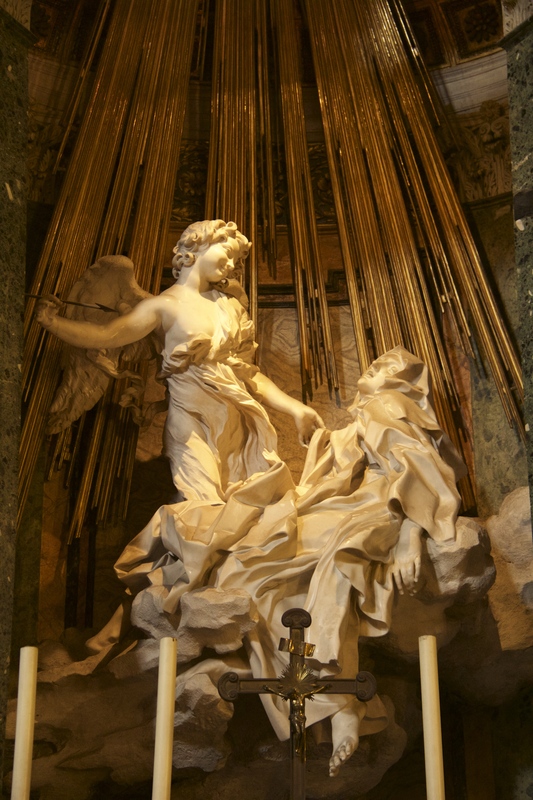 Now the church I was going to is the sight of Bernini’s The Ecstasy of St. Theresa, and the blog wasn’t kidding when it said that it was a bit out of the way and tiny. But it was worth the pit stop. 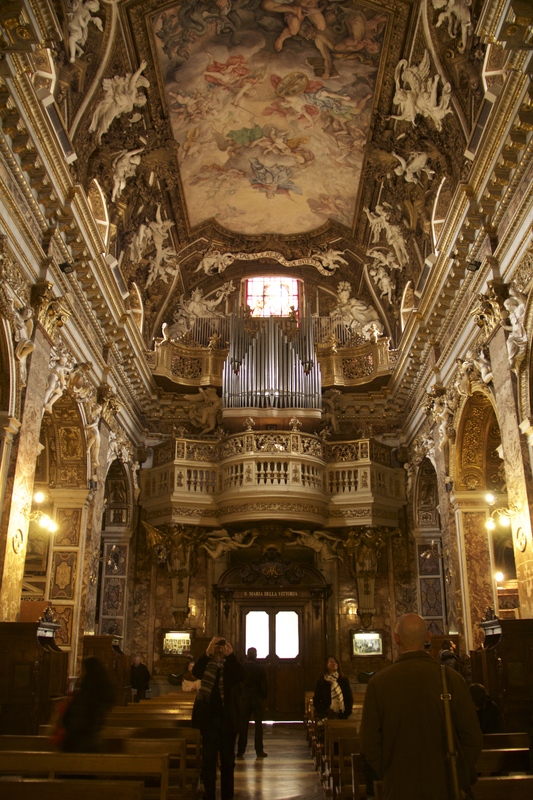 To my great surprise, I was expecting to be tired of churches at this point, but even now it never fails to amaze me how beautiful they all are, regardless of whether or not they contain famous artwork. 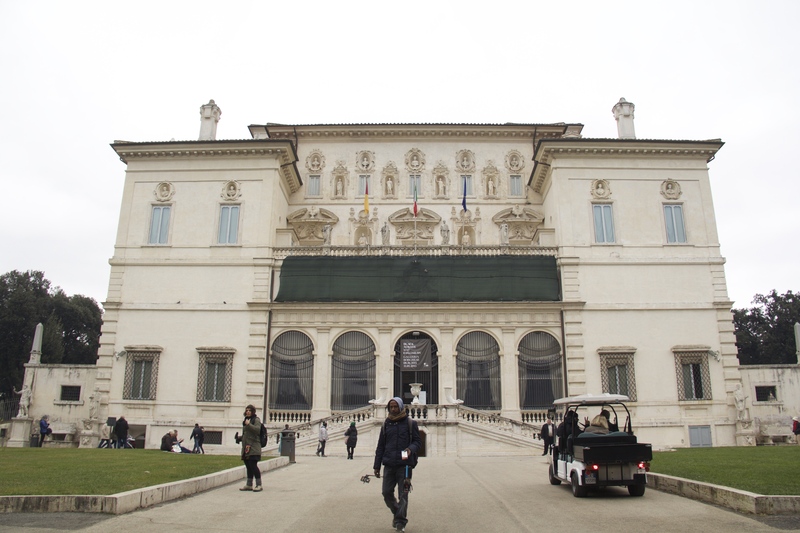 My second stop of the day was the Villa Borghese. Now remember how I mentioned that I didn’t make any reservations before my trip? 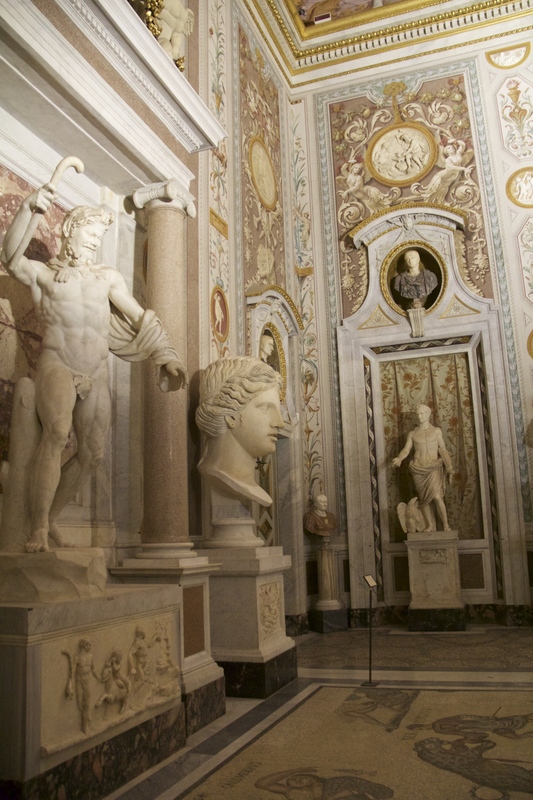 Well you pretty much need a reservation to get into the Villa Borghese. Now I knew that going in. 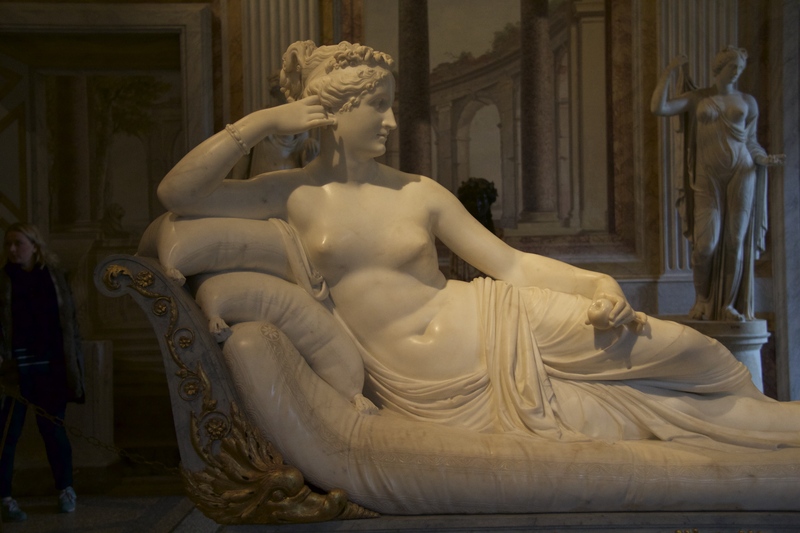 That didn’t mean that I wasn’t going to try and get around this, especially considering that almost all of my friends who had gone to the Villa Borghese had managed to fabricate their way in. So I figured I’d give it a shot. 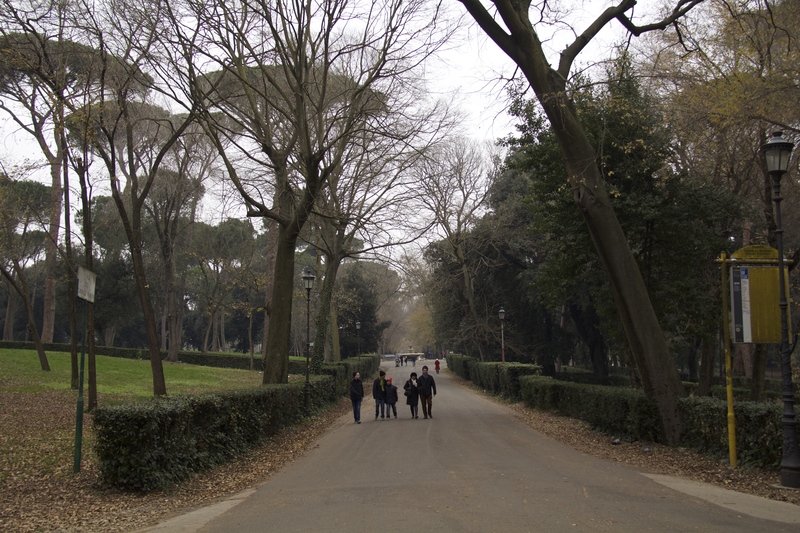 And remembering Italian lesson number two (in Italy rules are really just suggestions) I set off for the Villa. Now the way things work at the Villa is that you sign up for a time slot and then view the Villa at your allocated time. I figured my best shot was to come after the people who had legitimate reservations had already entered the Villa, so I arrived about thirty minutes after the 11 am time slot. Sure enough I was initially told that I could not get into the Villa for the next available time slot, BUT I was told that I could pay and enter with the ongoing time slot. I also had to laugh when the ticket lady gave me a pitying look for having only an hour and a half in the Villa as opposed to the normal two hours. I on the other hand was just excited to get in. 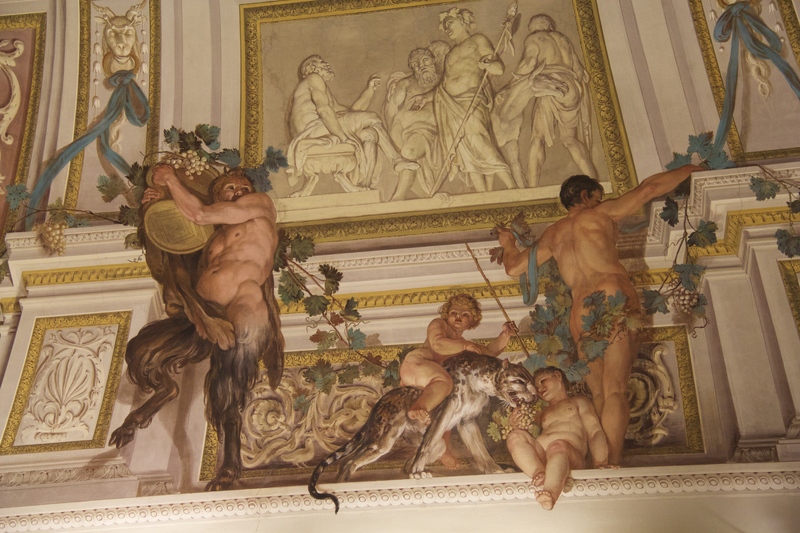 As you can see, the artwork inside the Villa Borghese is pretty stunning. 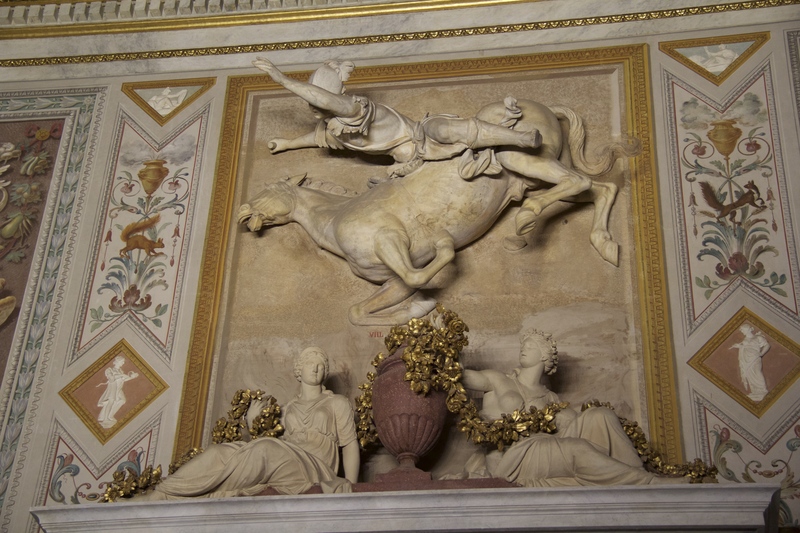 My favorite statue ended up being Bernini’s David (picture on the bottom left). 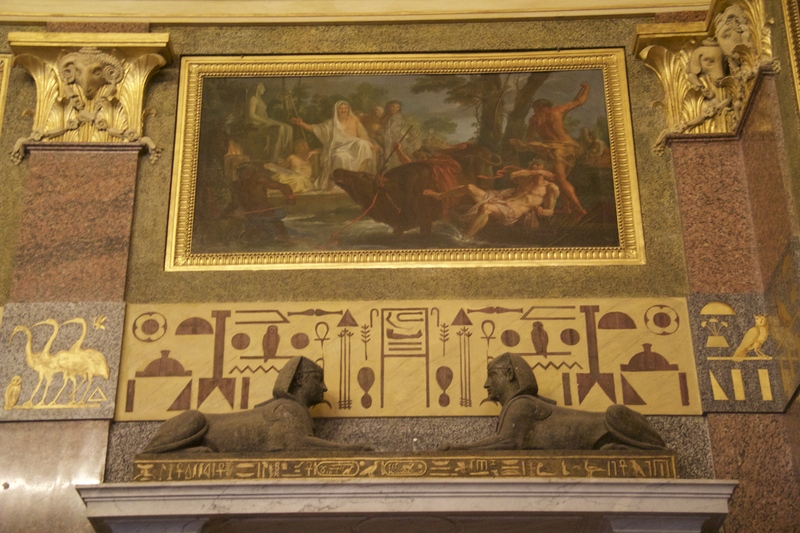 There were also a number of beautiful paintings. What actually surprised me about the Villa was how small it was. 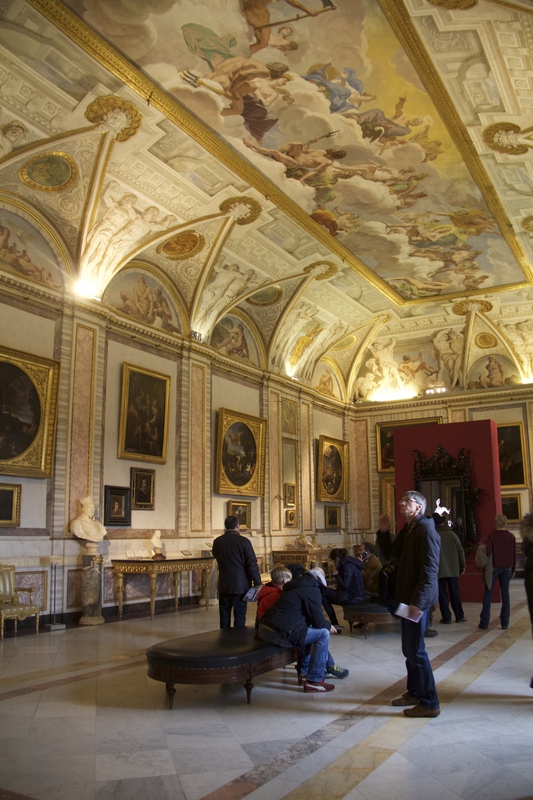 It only has two floors of artwork. 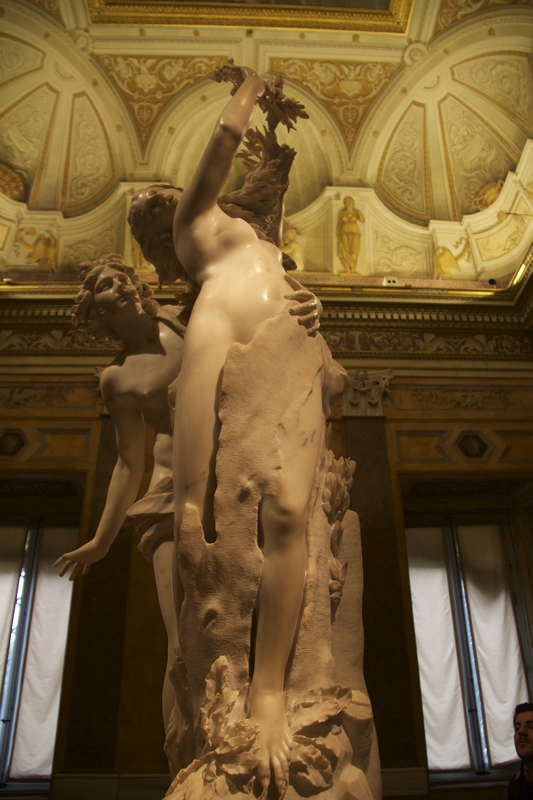 The other thing that surprised me was that they had a modern art exhibit on display by Mat Collishaw. 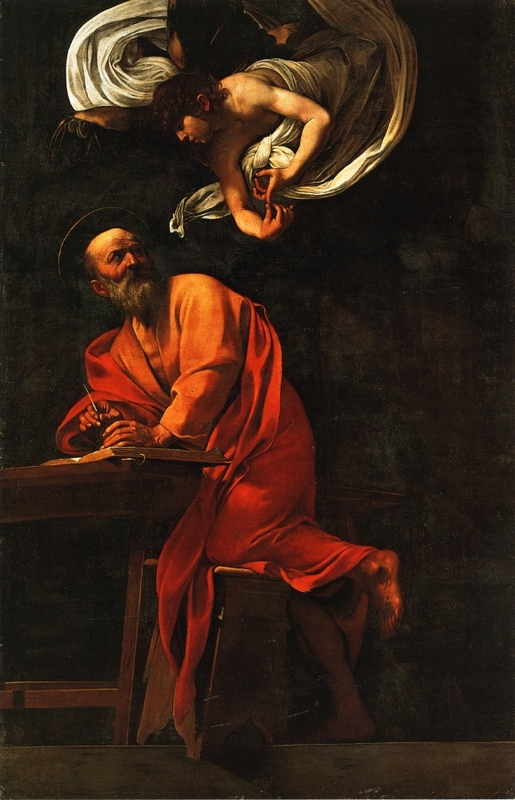 The first component of his work were these glass picture frames that contained paintings by Caravaggio. When first glancing at these frames it seems as though they only contain Caravaggio reproductions, but if you look at the paintings for long enough the figures inside the frames move ever so slightly. 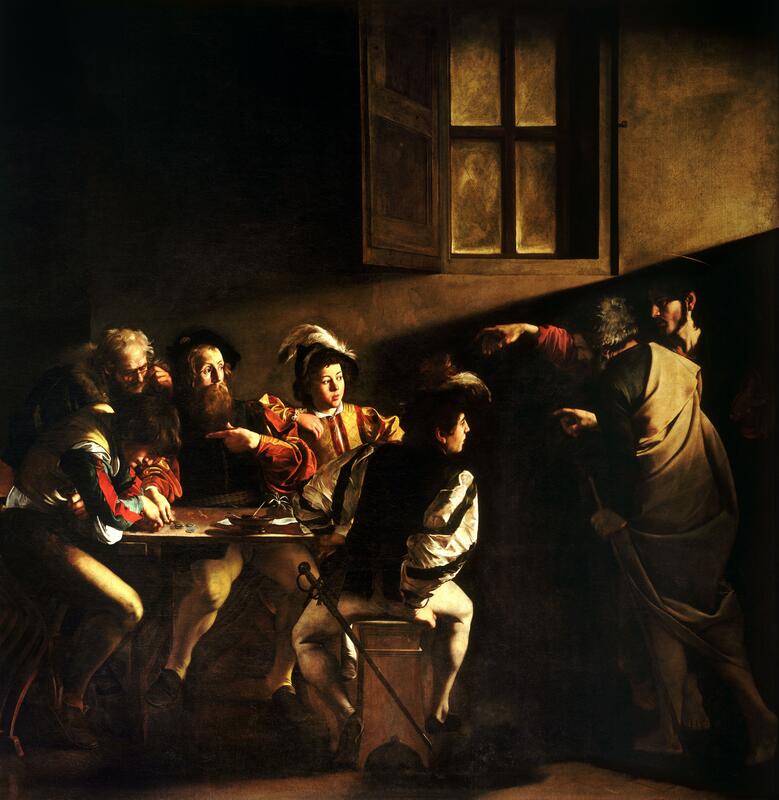 I actually thought it was a great exhibit since it helped demonstrate how realistic Caravaggio’s pictures are. 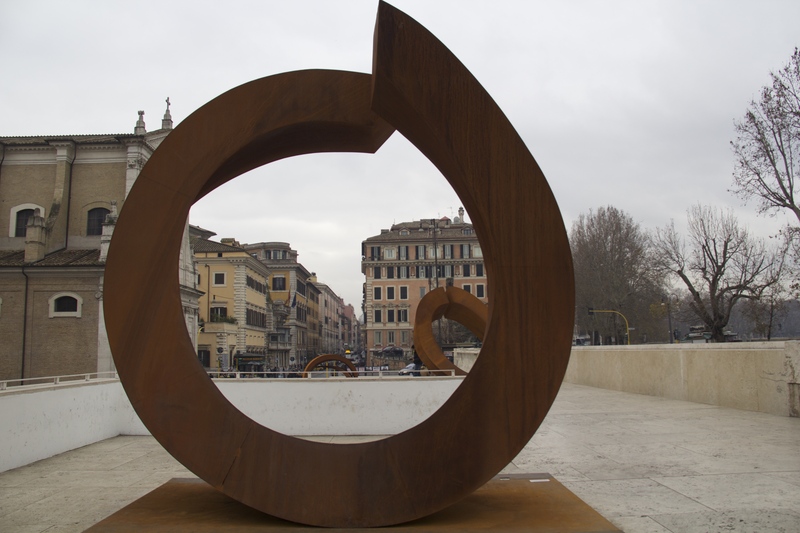 His second work is a zoetrope based on Ippolito Scarsella’s The Massacre of the Innocents. The content wasn’t exactly pleasant but it was still a pretty impressive work. 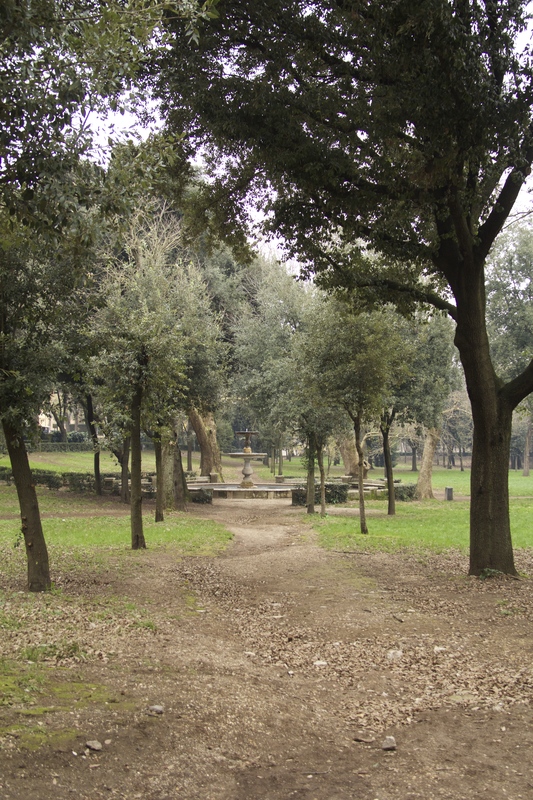 Once I was done with the Villa I went for a quick walk around the grounds. 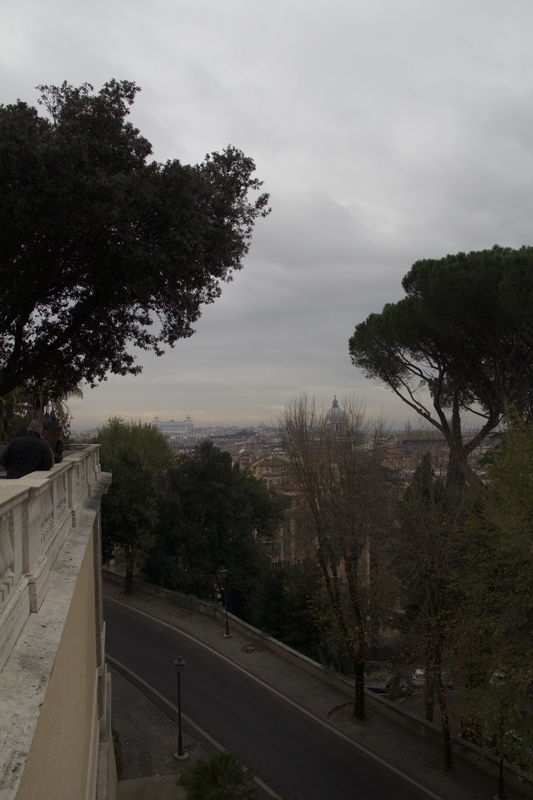 The grounds are fairly extensive and are on a hill so you get a pretty nice view of Rome. 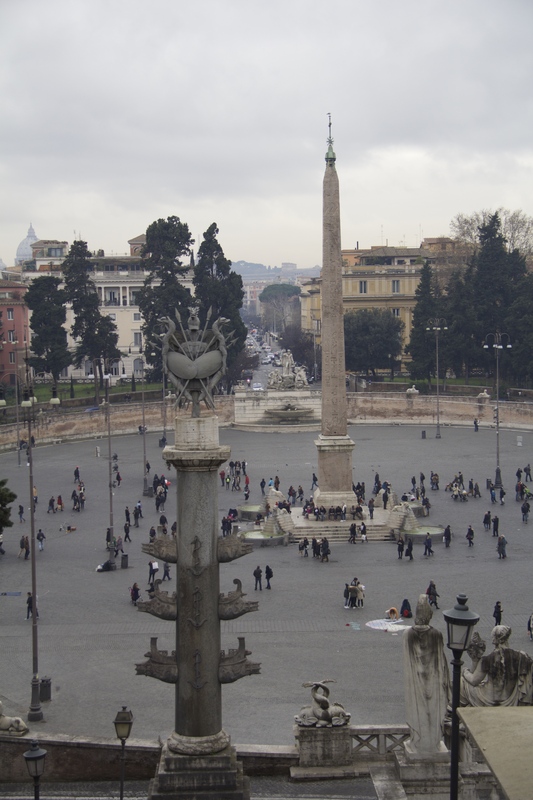 From there I walked down to Piazza del Popolo. 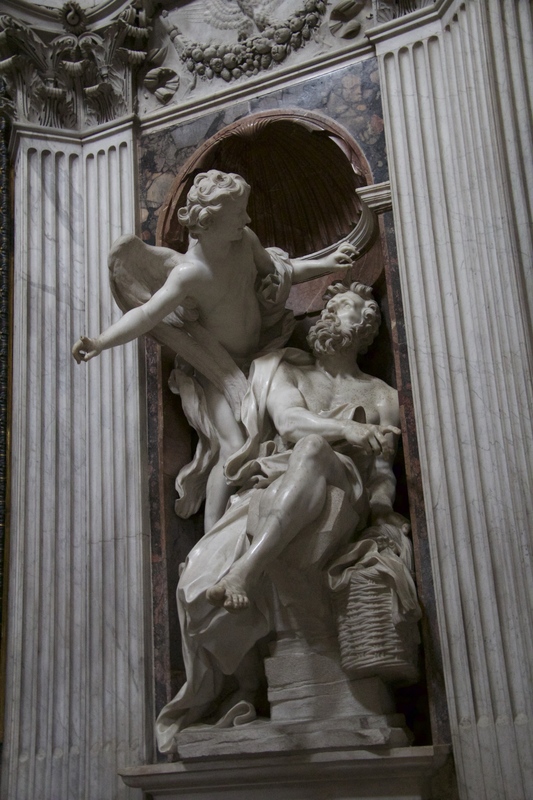 Once I was there I went back to the Basilica of Santa Maria del Popolo this time in search of Bernini’s Habakkuk and the Angel. 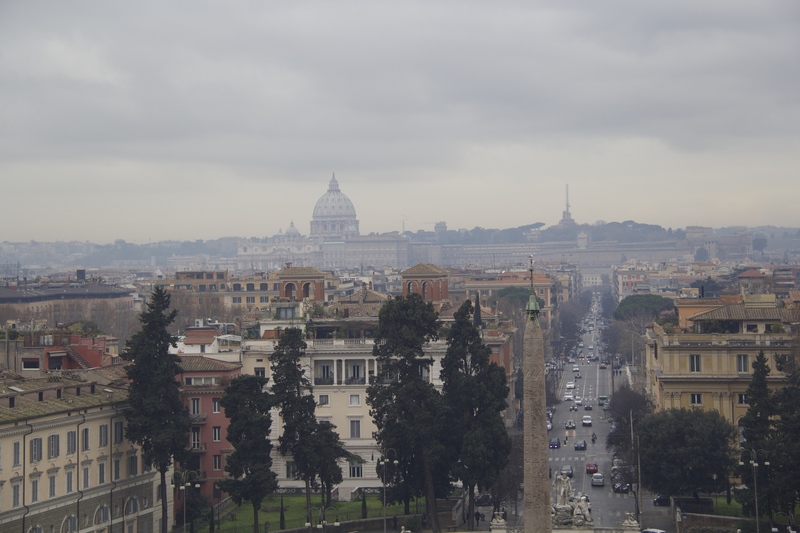 After that I had managed to go to all of the places in Angeles and Demons, with the exception of Castel Sant’Angelo. The only other thing on my agenda for the day was to visit an M.C. Escher exhibit that was on display at Chiostro del Bramante. So I set off in that general direction. 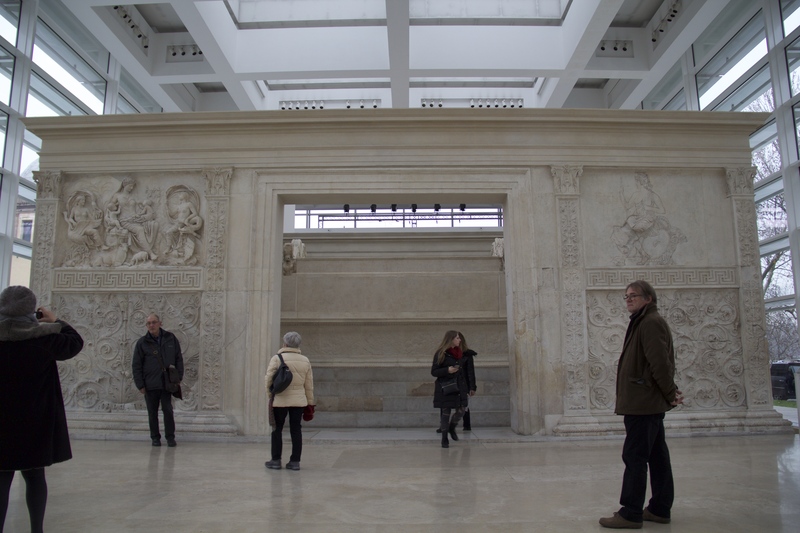 It was in the middle of this wandering that I stumbled across a Henri Cartier-Bresson exhibit at the Museo dell’Ara Pacis. I had taken three years worth of photography classes in high school and Cartier-Bresson was one of those photographers who we had to talk about every semester. I hadn’t actually seen any of his original works so I figured that this exhibit would be worth a stop. The exhibit turned out to be great. My one qualm with it was that it was unclear in what direction you were supposed to be moving through the exhibit, making it very easy to go through his work in a haphazard and non-chronological way. 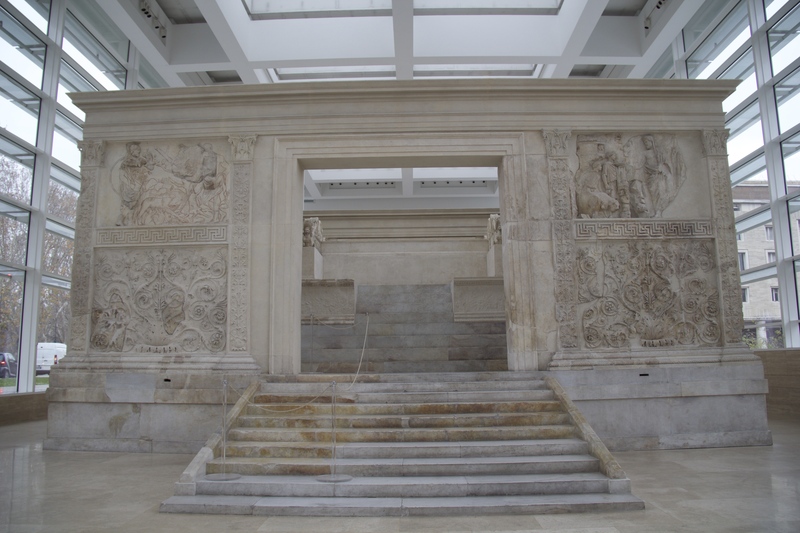 Before leaving I also stopped by the Ara Pacis, or the alter of peace, that was on display on the top floor. From there I slowly made my way towards the M.C. 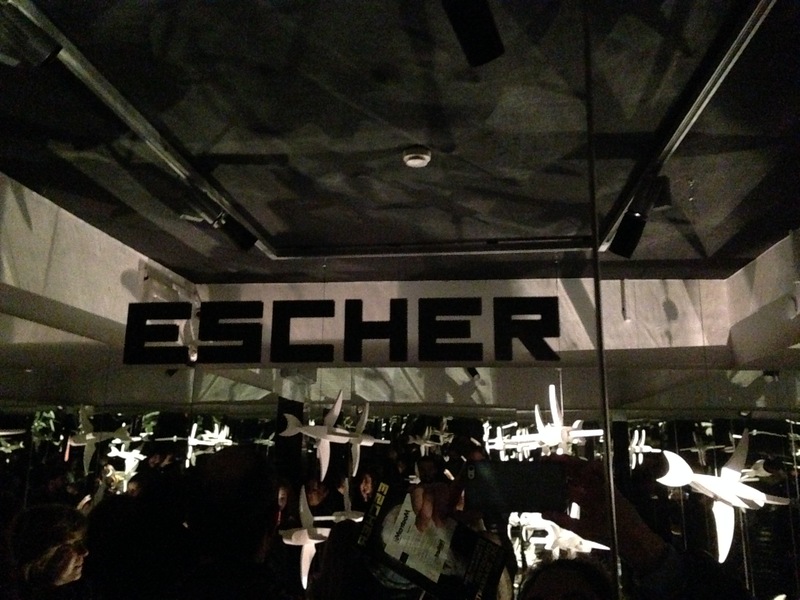 Escher exhibit. 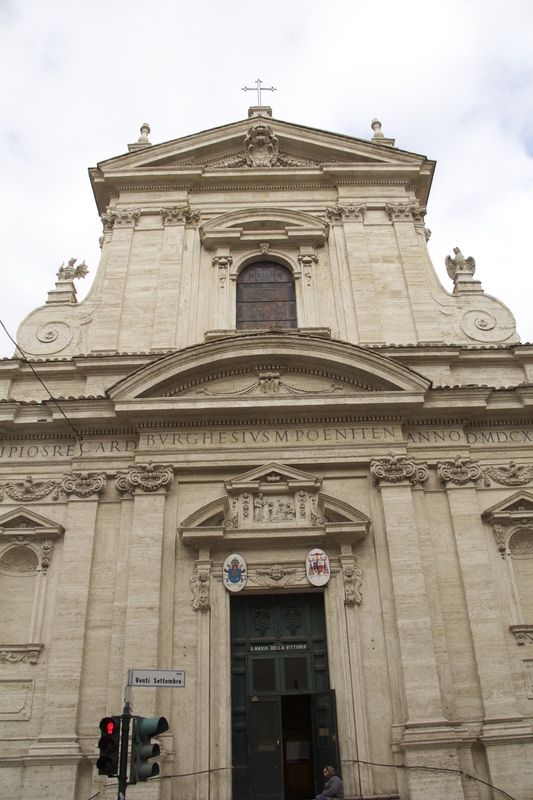 In the midst of my wandering I noticed a line forming to go into the church San Luigi dei Francesi. So, not being in a hurry, I decided to join the line and go inside the church. 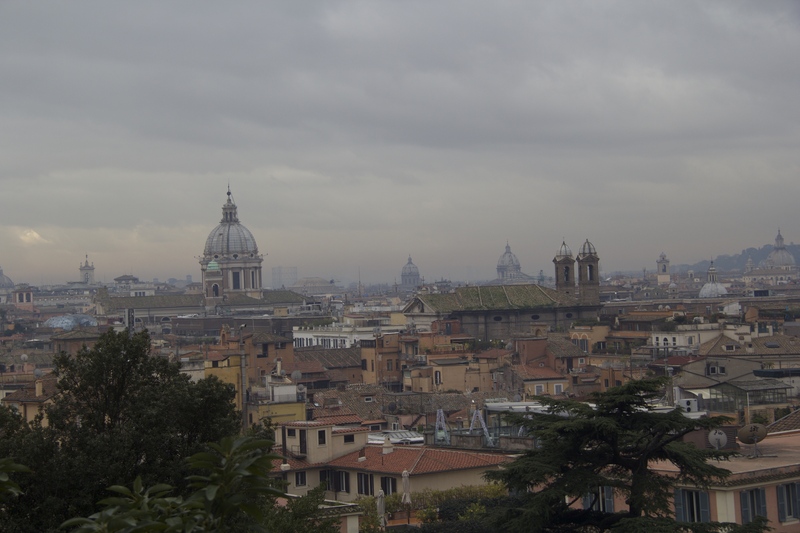 Remember how I mentioned that my Rome trip consisted of a lot of wandering? Case in point. 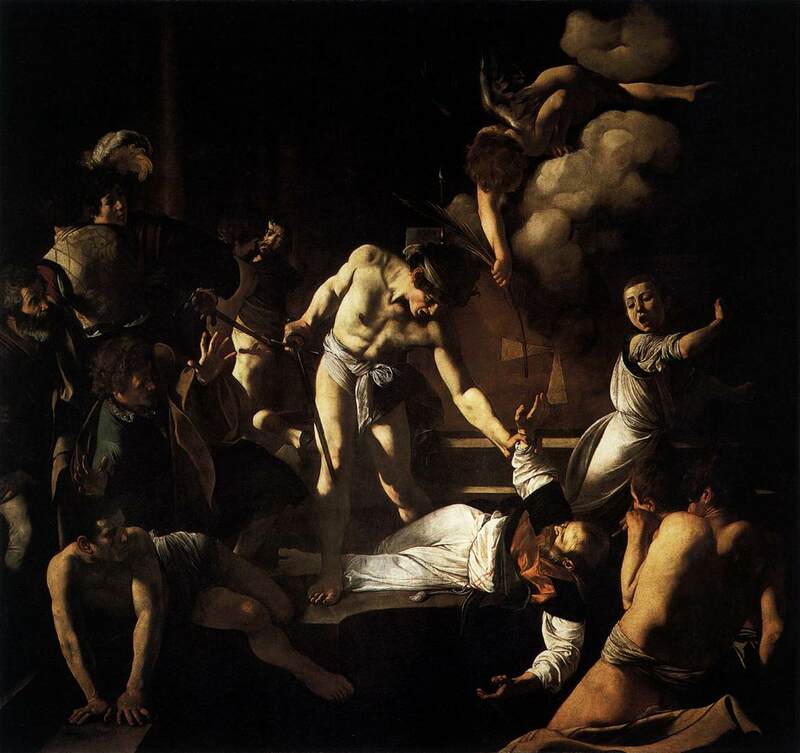 Anyways, I entered the church and realized that there were a series of Caravaggio paintings there. So after struggling with the crowd I was finally able to see the series of paintings below. After that I finally made it to the Escher exhibit. 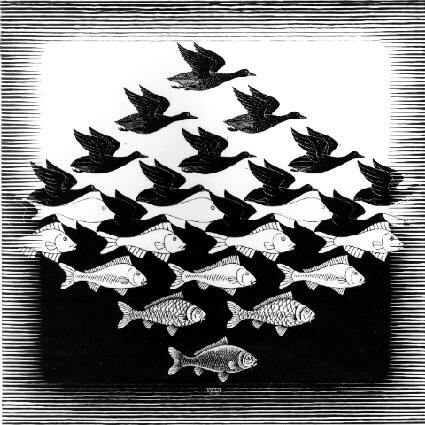 Now thanks to two of my college roommates, I have lived with reproductions of Escher’s work for a few years. The two ones below specifically. 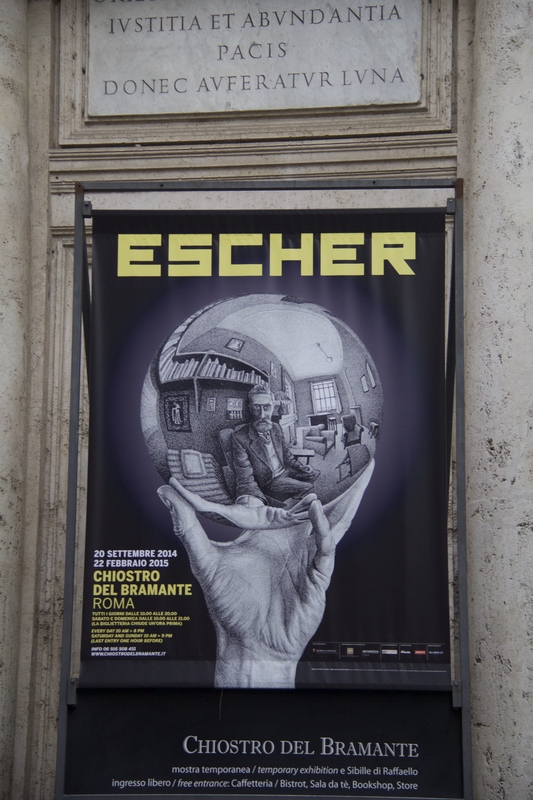 So, when I kept seeing signs all over Rome advertising an Escher exhibit I knew that I had to go. I will say that the Escher exhibit was excellent. They did a really good job of organizing his work chronologically and showing his transformation as an artist. The audioguide that they had was a bit lengthy (and thus went unused most of the time I was going through the exhibit) but the signs did a good job of explaining things. In case you are like me and know nothing about Escher’s personal life, I thought I’d let you know what I learned here. 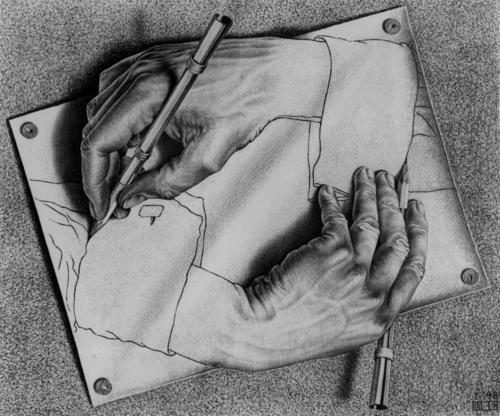 Escher is actually a Dutch artist who ended up moving to Italy. 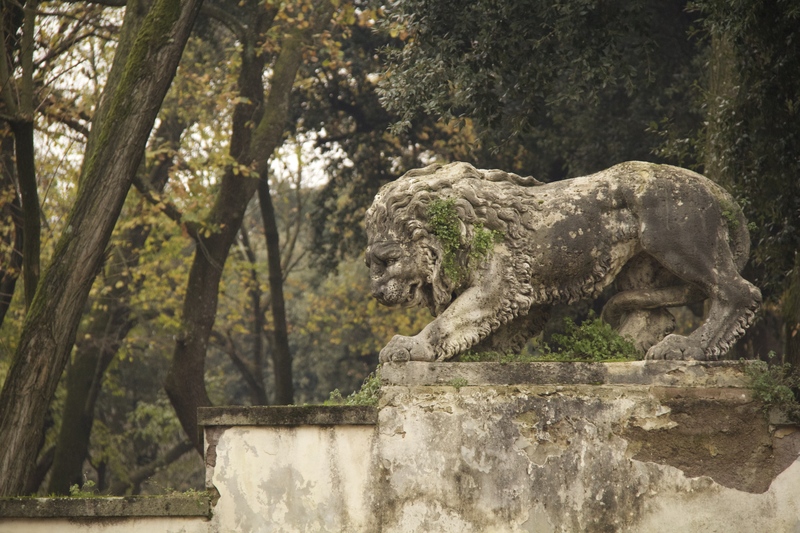 He lived there continuously for fourteen years and met and married an Italian woman. 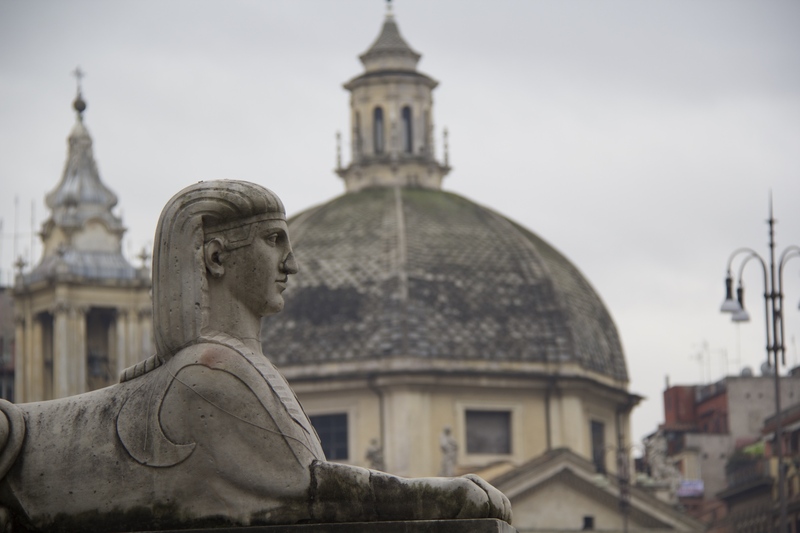 He and his wife ended up having two sons together while they were in Italy. The reason behind the family’s move away from Italy came when his youngest son came home one day in a youth fascist uniform. 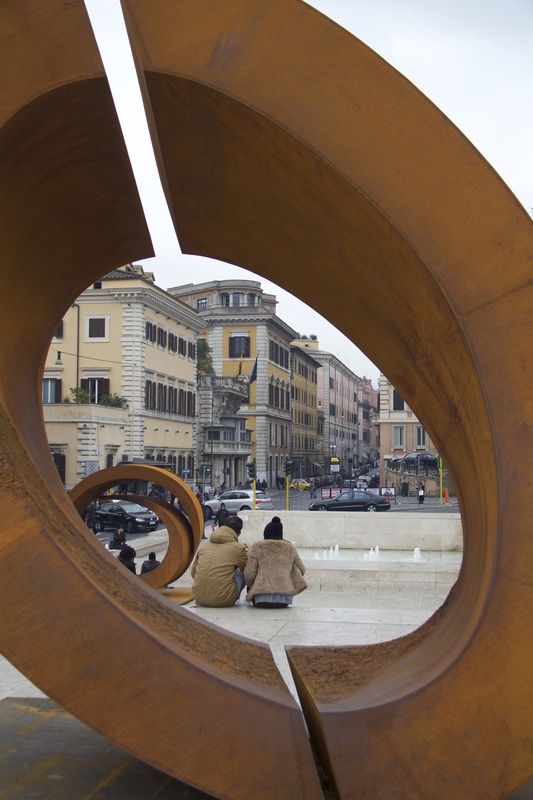 Escher did not want his family to get mixed up in Mussolini’s politics and so he moved his family out of Italy. Escher was a very well respected artist during his lifetime and earned a number of awards before dying in 1972. 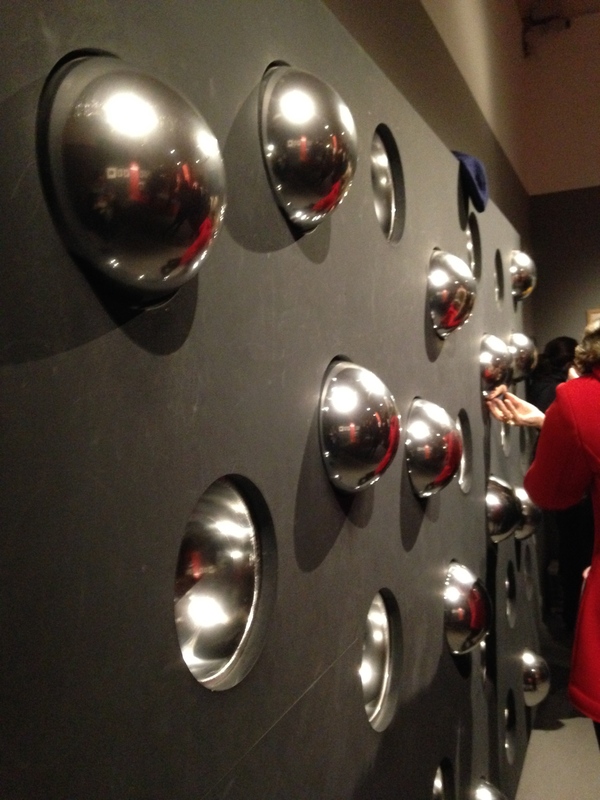 While the exhibit was great, getting into the exhibit was a bit of a pain. When I first got to the church there was a line out the door. Soon after I got in line there was an announcement made in Italian, and by using my sketchy Spanish and by asking around I realized that they were telling us that it would take an hour to get into the exhibit. Now I thought that they were just trying to make us come back in an hour, but low and behold beyond the ticket booth lay a courtyard that had a line snaking around almost the entire perimeter. So I settled in to wait and after the promised hour I finally gained entrance to the exhibit. But the wait was totally worth it. 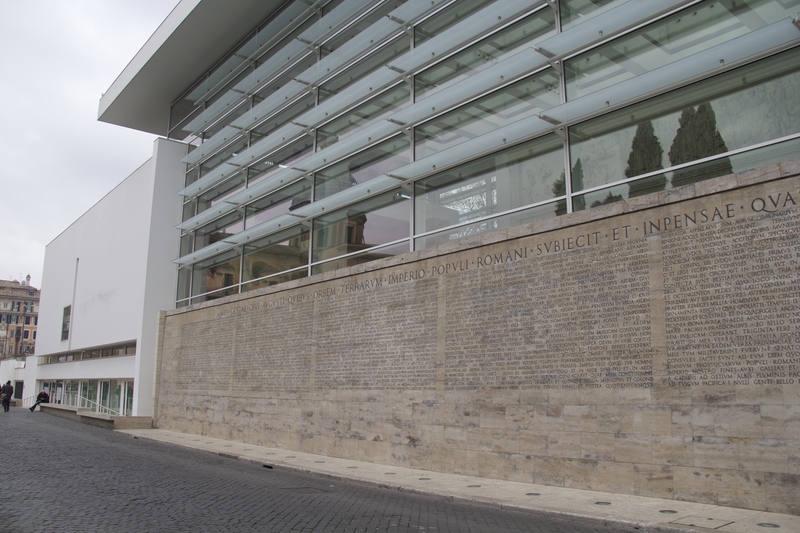 Once I was done with the exhibit all that was really left for me to do was to slowly make my way back to my hostel and prepare for my last full day in Rome.